I am really excited to be part of the this exhibitiion featuring handspun yarn and wearables, handmade spinning and fiber tools, and live spinning and collaborative events. 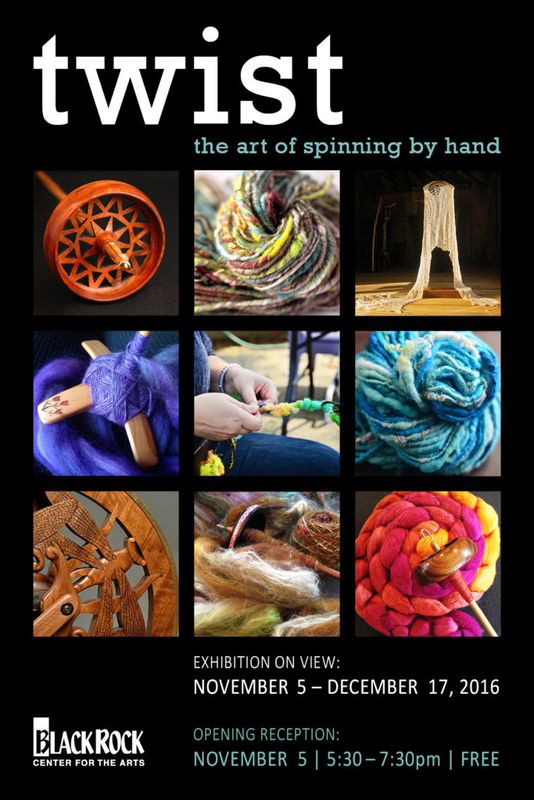 TWIST: The Art of Spinning by Hand is a dynamic exhibition and “happening” curated by Jennifer Lindsay that brings together the art, craft, science, technology, and community experience of contemporary hand spinning. TWIST features a curated display of handmade tools, fiber, art yarns, art, and art-to-wear by sought-after artists and makers including Jonathan Bosworth, Stacey Budge-Kamison, Katharine Cobey, Elysa Darling, Jill Duarte, Thomas Golding, Seth Golding, Obe Golding, Steph Gorin, Bee Hahn, Mary Hamby, Ed Jenkins, Michelle Kaston, Mike King, Esther Rodgers, and Emily Wohlscheid. TWIST encourages both new and experienced spinners to participate in a collaborative installation, community spinning events, and to explore the Spin Lab in the gallery. Curator Jennifer Lindsay will deliver remarks and introduce artists at 6:00 pm. Drop in for hands-on activities and demonstrations focused on hand spinning. Enjoy learn to spin sessions and gallery tours of the exhibit.